This lovely memorial necklace with birthstone charm and footprints on heart pendant has been designed by us to bring comfort to someone who is grieving the loss of a loved one. 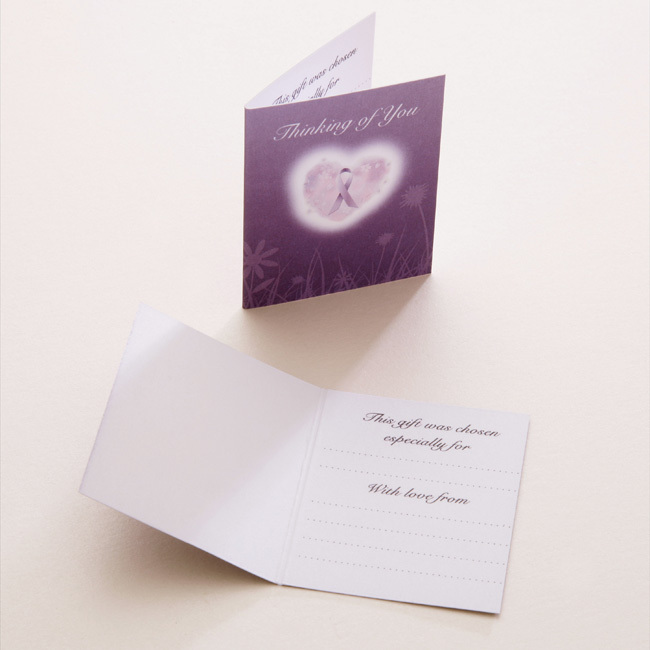 We offer Free and fast UK delivery on all bereavement gifts. 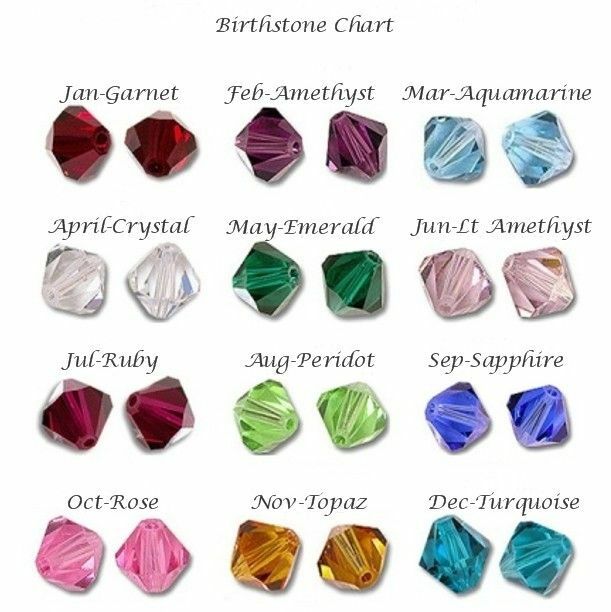 The beautiful crystal birthstone charm is a genuine Swarovski crystal from the prestigious 'Elements' range. 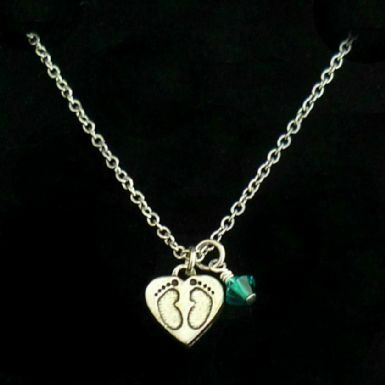 You can choose the birthstone of the person who will wear the necklace or of the person they have lost. Either adds a lovely personal and thoughtful touch to this gift. 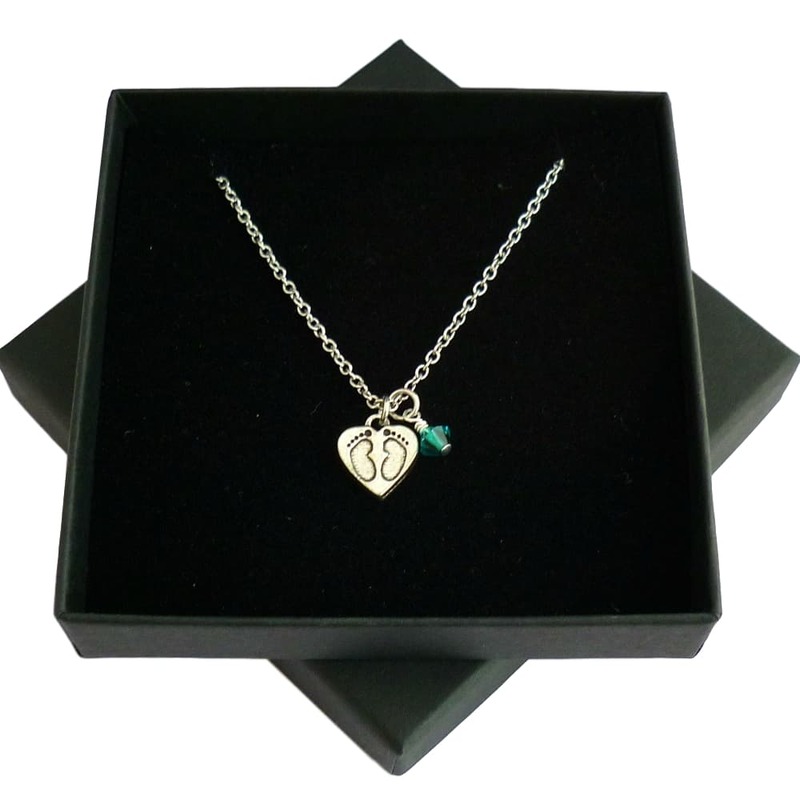 Metal parts: High quality pewter heart pendant on stainless steel necklace chain. Chain Length: Various lengths from 14 to 24 inches.